← Are puzzle games good for the brain? Imagine that one day, you wake up with a headache that refuses to go away. Your head feels heavy, and you are immensely irritable. You pick your phone and find an app, which asks you to describe how you exactly feel like and then it presents you with a diagnosis. The application also asks you whether you want the prescribed medicine delivered at your home or not. You tap “Yes, Deliver” and in around half an hour the medication is at your doorstep. You take the recommended dose, and in a few hours, you are feeling considerably better, ready to take on your day. There is one critical link missing in the scenario above, i.e., a visit to a hospital or your general physician, and no matter how bizarre that might sound, in a few years, doctors and hospitals would only come into the picture if there is a medical emergency. Common illnesses like fever, headaches, and diarrhea, would no longer put you in discomfort for elongated periods as you wait for your doctor’s appointment to come through. And this would all be possible through a collaborative effort between telemedicine and the existing technology. Many critics believe that we are on the brink of the fourth and final Industrial revolution and at the helm of this new era would indefinitely be Artificial Intelligence or AI. This beauty of this multifaceted technology is its ability to permeate all boundaries and allow us to push ourselves towards the creation of nearly a utopian society where humans will do away with inefficiencies in their systems and processes and make things more streamlined and easier to access. The field of healthcare has long been plagued by the annoying lag times that patients have to experience as wait for their doctors at the office to provide the correct diagnosis. Even doctors find it immensely hard to cope with such a significant amount of patients each day and give all of them the best in care. This scenario might not be a big problem in urban locations, but in cases where people live in areas that are remote and inaccessible, this could ultimately mean the difference between life and death. It’s utterly infeasible to build world-class medical facilities in each and every place where humans live and staff that place with doctors for every single ailment that afflicts those people. But if hospitals cannot be built, we need to find an alternative, something that replaces the ‘real hospital’ functionality without compromising on the quality of care rendered. Telehealth solutions have long been touted as the primary catalyst which could bring in much-needed relief to such groups of people, but the success of conventional telehealth solutions has been limited at best. The tools used are mostly geared to provide limited assistance, but in most cases, it has done very little to reduce the phenomenon of physician burnout as people are still over-reliant on them as well as medical facilities to provide long-lasting relief and care. 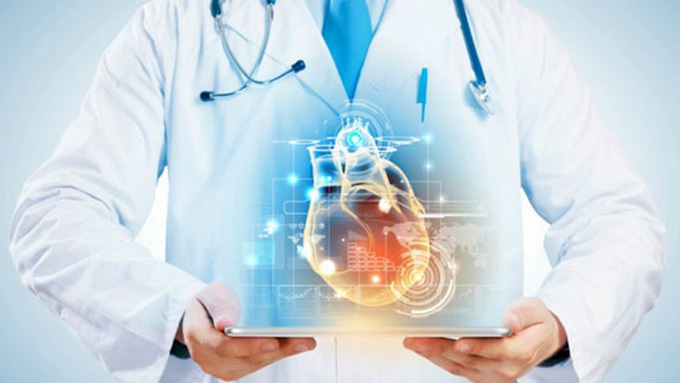 Until now, telehealth has been an exercise in futility, but there is light at the end of the tunnel as the recent advancements in modern day AI are poised to revolutionize the healthcare industry. In fact, they allow us to re-imagine the utility of telehealth solutions. Modern-day AI has already started to show prowess in a wide variety of fields when it comes to giving a new meaning to the term “telehealth. One of the most noteworthy examples in this regard is the new app launched by Babylon, a British online health service. Using this app, people can enter their symptoms and then the backend AI starts to search its vast database of ailments and diseases to check whether it can find a similar match. If a suitable match is found, the app itself is capable of providing an appropriate course of action to the user. The app also uses other critical information verticals like patient history and the surrounding conditions of the affected person, before providing a final answer. IBM is currently testing an algorithm in its efforts to build a highly capable, next generation, clinical medical assistant. Named “Medical Sieve,” this project, when fully developed, could provide immensely critical clinical decision-making services to specialists and doctors all over the globe. Currently, it’s being tested in the radiology and cardiology departments, but efforts will be expanded once more progress is made. Enlitic, a medical/tech startup, is building a specialized program that can scan things like X-rays and CT scans and provide much more accurate results. Its success rate in doing such tasks has already surpassed the best radiologists out there. With the AiCure app, you will no longer have to worry whether your grandma has really taken her medicines or whether she has skipped them or forgotten them altogether. Combining the use of AI and the Camera of a smartphone, the app independently makes sure that the prescription has been taken in the required dose and at the right time. Progress made in fields like deep learning, and machine learning has enabled AI to make use of vast amounts of structured and unstructured data and analyze it to reach the best possible solution for posed problems. From Google’s search engine to Personal Assistant Siri in iPhones, low capability AI has already permeated many facets of our lives, but it has made a marked difference in whichever space it has been deployed in. Although we are still some distance from creating the most advanced version of AL, the achievements to date are more than enough to kick-start progress in fields like healthcare and telehealth solutions and make the lives of millions of people better.